When it comes to Gu Long’s (古龍) famous wuxia epic Juedai Shuangjiao <絕代雙驕>, or Peerless Proud Twins, one would immediately associate the story with the classic 1999 Taiwan adaptation starring Jimmy Lin (林志穎) and Alec Su (蘇有朋). China has yet to make its own adaptation of the famous novel, but it looks like we may soon see one coming to television screens soon. In an announcement made by Zhejiang Huace Film & TV, the studios confirmed reports that they are remaking the Gu Long classic. This week, they announced rookie actors Joseph Zeng (曾舜晞) and Hu Yitian (胡一天) to respectively star as the titular siblings Xiaoyu’er and Hua Wuque, rebooting the series for a new generation. 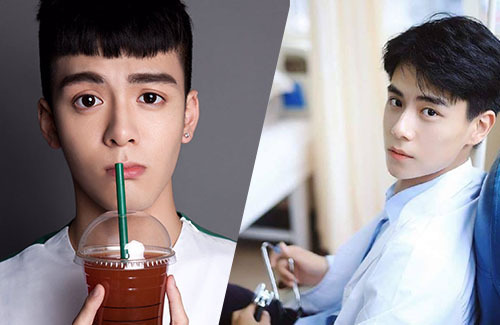 Both Hu Yitian and Joseph Zeng are rising young stars in the Chinese industry; 24-year-old Hu Yitian himself broke to fame after starring in the successful dramas Rush to the Dead Summer <夏至未至> and A Love So Beautiful <致我们单纯的小美好>. Standing at 188 cm tall, Hu Yitian is the tallest actor to portray the handsome Hua Wuque. 20-year-old Joseph started his foray in the industry through the boy band Fresh Geeks Youth. He debuted as an actor in 2016, and led his first drama When We Were Young <青春最好时> in 2017. Zeng’s big eyes are just abnormal and unattractive. Awww I thought Leo Wu would get the role. He’s so cute. Now, I’m curious who they will cast for the character Jiang Yu Lang. This character is also supposed to be super handsome. Most of the actor who has played this character in the past are handsome guys such as Kevin Cheng, Ku Kuan Chung, Eddie Kwan.